The RhinoShield SolidSuit Case White OnePlus 6 is a true revolution in the traditional phone cover market. 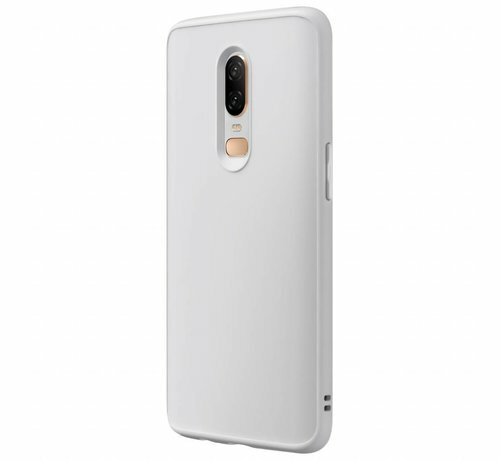 This case consists of one piece of precisely shaped ShockSpread material and is provided with a high quality finish at the back. 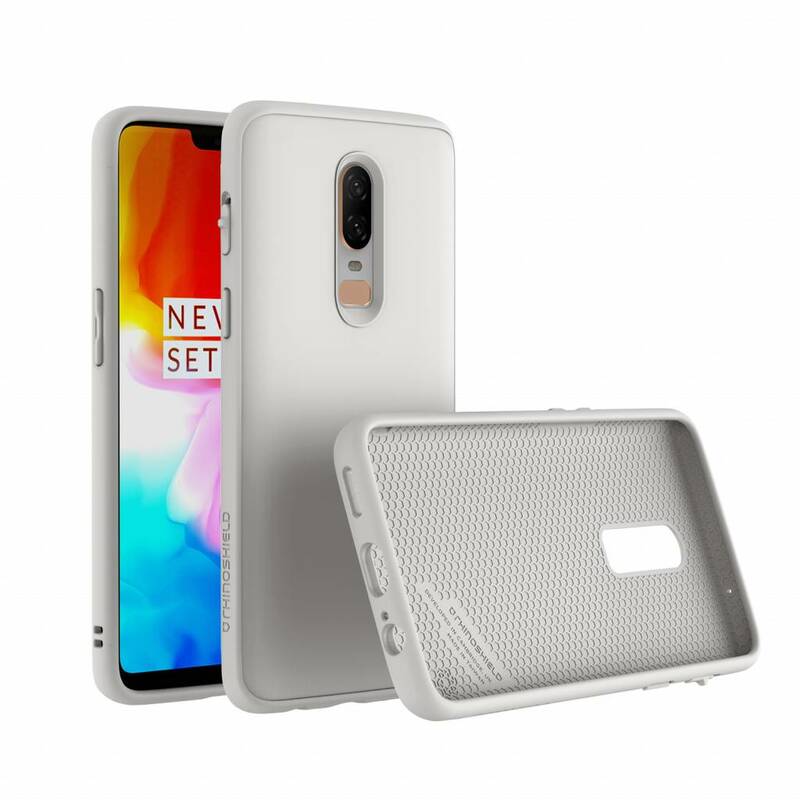 The RhinoShield SolidSuit Case White OnePlus 6 is a true revolution in the traditional phone cover market. This case consists of one piece of precisely shaped ShockSpread material and is then provided with a high quality finish at the back. The SolidSuit Case sets the bar higher in the category of minimalist covers. A modest matte finish exudes elegance and also offers improved scratch resistance. The new ShockSpread material is a 3rd generation patented polymer blend, developed by students from Cambridge University. This material ensures that your OnePlus 6 is optimally protected against scratches, bumps and fall damage. The SolidSuit case absorbs impact damage up to and including a height of 3.5 meters! The rear consists of high-quality polyurethane, which means that scratches do not stand a chance. With a thickness of only 3 mm and a weight of just 30 grams, the RhinoShield SolidSuit case will add little bulk to your phone. 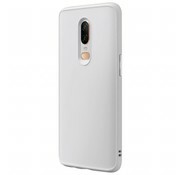 This way, despite the unprecedented protection, you still retain the sleek appearance of your OnePlus 6. Buttons are easy to operate due to slight increases in the case, and ports, speakers and cameras are left free so that nothing is lost on functionality. A raised edge at the front provides total protection, even if the phone is placed face down. 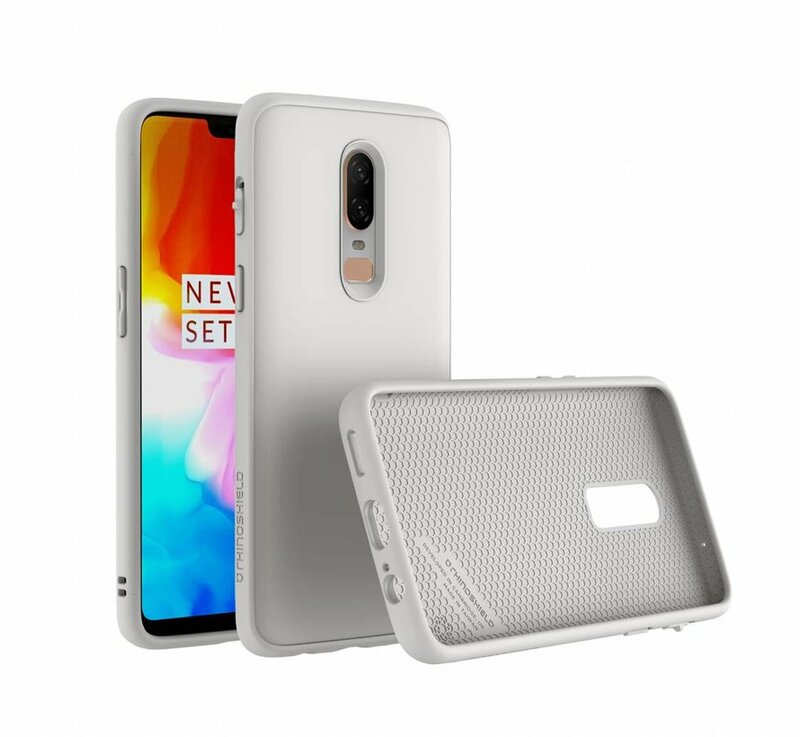 Do you really want maximum protection for your OnePlus 6? Then choose a bundle with a 9H glass screen protector at the bottom of the page. This means that almost nothing can happen with your phone and a bundle also gives you an immediate advantage!